This is my first time to travel with kids thus, I thought to myself - that I didn't want to go through the hassles of airport transfers with kids in tow. Plus, we were arriving mid evening, and I thought - I didn't want to wait a 120 minutes to get to the hotel. In Tokyo - the usual mode of transport to and from the airport is via their limousine bus - but since we had kids in tow, and the fact that my Panget has a recurring back problem - I decided to try my luck in looking for a car for hire that can take us to the hotel privately. I searched the web and found a lot of sites. I think I made about a dozen of more inquiries on the rates for a van that can carry 5 adults and 3 kids. The first replies I got were frustrating because they said that they can only accommodate 4 adults and 3 kids, they then offered me a much higher rate for a vehicle that can carry up to 9 people. I argued that I have a two year old toddler that can just sit on my lap, but they still insisted. I was already discouraged and resigned myself to the fact that we were really going to take the bus to our hotel. Then, on my last attempt - I came across Asahi Kotsu. 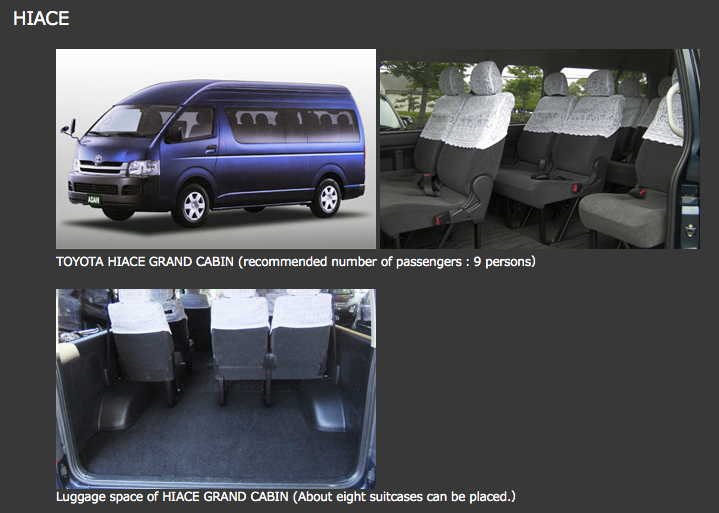 I browsed their site and saw that they had a Hi-Ace van that can accommodate 9 passengers. I immediately sent an email to request for a quotation - and the next day, I got my reply. Their rate was the cheapest from all that I inquired from. Their rate was already inclusive of toll fees, parking fees and taxes - plus, I didn't need to pay online to get the reservation. So I booked it immediately. The prices was not as bad as I thought - it was actually almost the same plus - you'll be in our own private vehicle and you won't need to stop at every single bus stop to bring passengers to their respective hotels. Our flight to Tokyo was delayed - and I sent an email to Asahi Kotsu to inform them. And this was who welcomed us at the Narita Airport! And true enough - the exact same Hi-Ace in the picture was what picked us up! The Hi-Ace was really clean and very well maintained! Mr. Driver even helped carry all of our bags! Travel time was about an hour as compared to the 120 minutes if you take the Airport Limousine Bus. Plus - its private, no one else with share the car with you! No one will give you an evil eye when the kids are rowdy or noisy. More relaxing, right? This too was what took us to the airport. 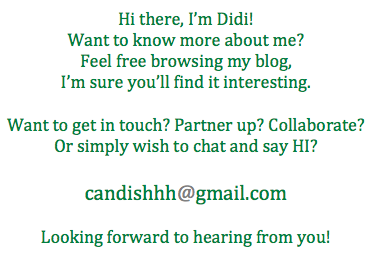 I am so very happy with the service that I got from them thus this blog post. So to those traveling to Tokyo in a big group, consider hiring Asahi Kotsu for your airport transfers, they're very accommodating and reliable! Hi Hamid! I hope you get the same exceptional service that I got from Asahi Kotsu Car Service!! airport limousine service Anyone who needs transportation to and/or from the airport can reserve this service. It has become very inexpensive for most people, and it is a very expedient way to travel.